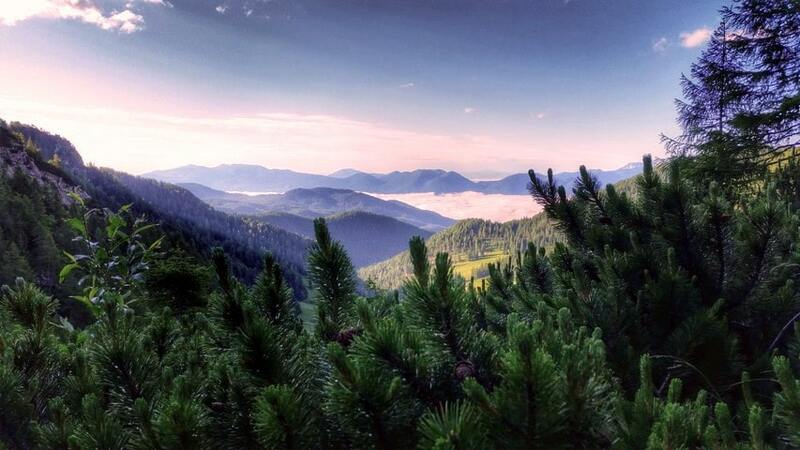 The Mount Tosc walk will take you from Pokljuka’s vast forests to the top of this prominent mountain. Mount Tosc has a steep and airy north face and, on its other side, it has gentle grassy slopes. 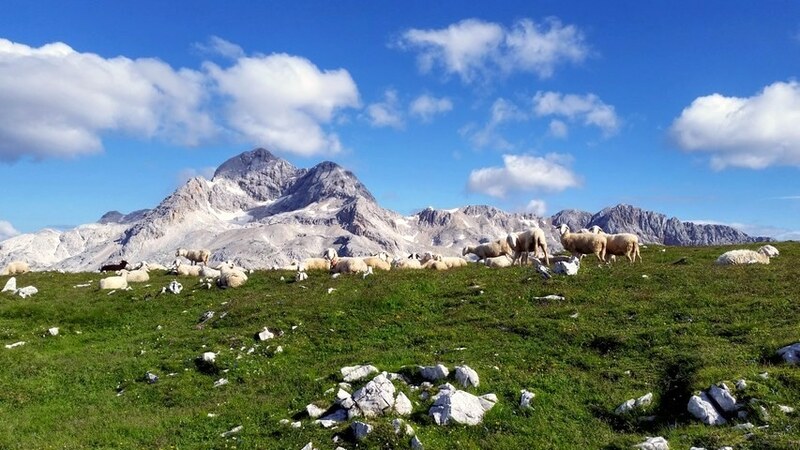 This awesome trek also has the best view of Mount Triglav’s southern slopes. From Bled, drive 20.0km towards Zgornje Gorje and Pokljuka. At the military/sports centre at Rudno Polje, turn right onto the gravel road between the buildings. In about 700m you will get to a small ski resort. Park on the side of the road. From the parking area, continue onto the gravel, forest road. Follow the marked path that leaves the road to the left. In a few minutes, you will end up on the road again in under 100m. At the junction, turn right on the footpath that is heading in the direction of Triglav. The path switchbacks up the steep southern slope of Plesišče. 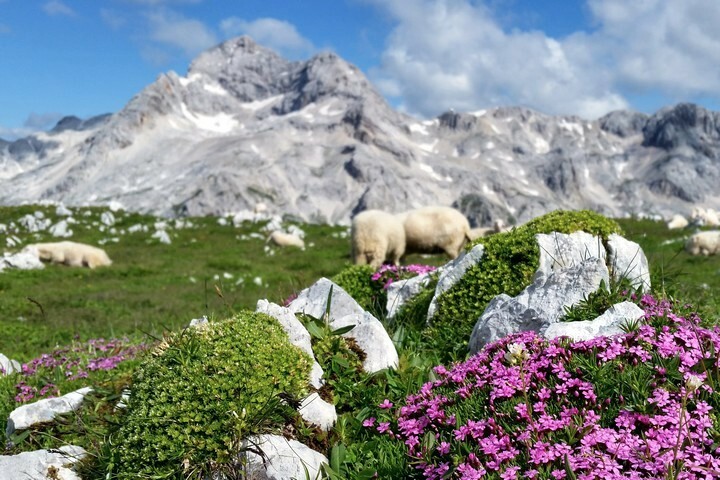 After the trail flattens, the view to the left, above the meadows of Konjščica pasture, opens up. Soon the path starts to climb again and, after a short rocky climb, you will eventually reach the Jezerca plateau. Take a quick break and inhale the fresh mountain air. 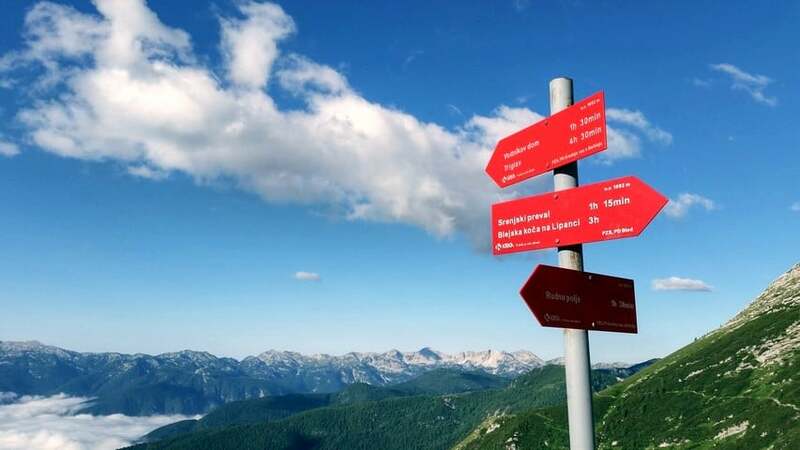 Surrounded by the high peaks of Viševnik, Veliki and Mali Draški vrh, you’ll continue to the left. 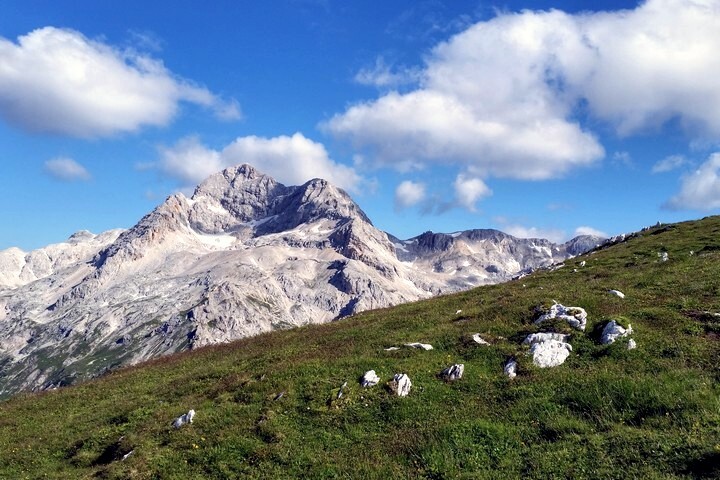 Head in the direction of Triglav and Studorski preval. Eventually, you’ll cross the Jezerca plateau, and the path will climb up the torrent (stream). 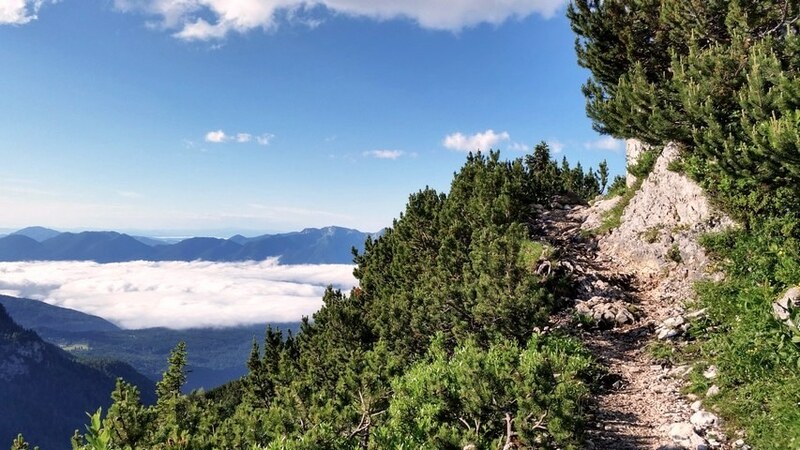 You’ll have great views of the Bohinj lakeside once you crest the next saddle. 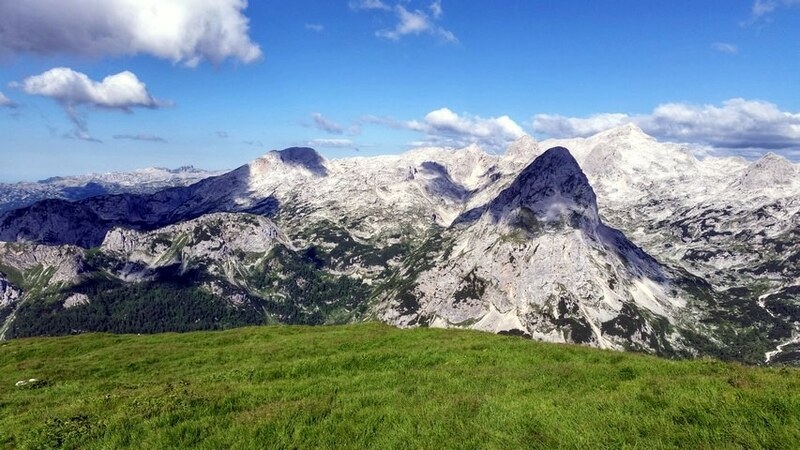 Alternatively, you can scramble up to Veliki Draški vrh peak to the right. 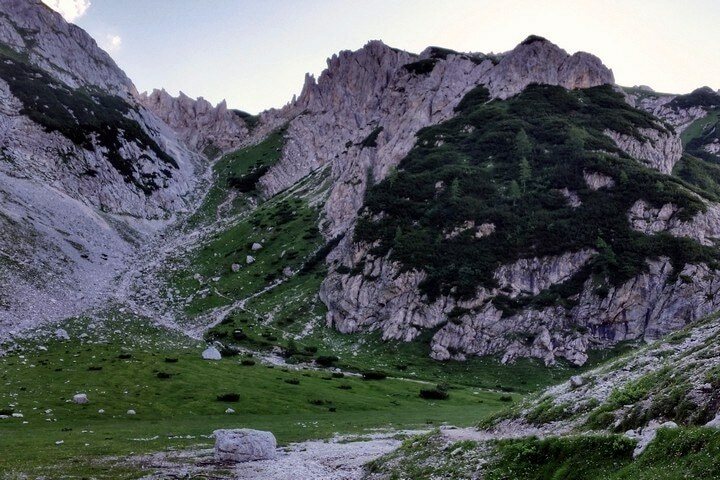 From the saddle, you’ll descend a few metres in the direction Vodnikov dom and Triglav. 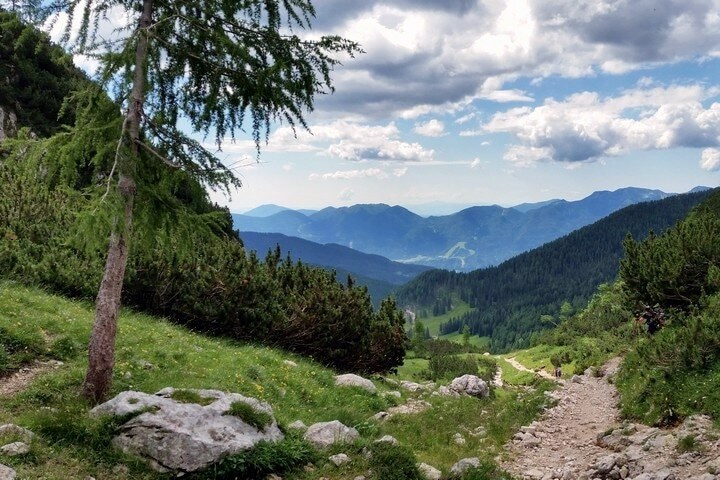 Your path will cross the south slopes of Mount Veliki Draški vrh. Eventually, you will exit the forest and find yourself at the barren southern slopes of Tosc. Turn right onto the unmarked path (a large stone will be marked with your path!).  The steep path reaches a plain ridge. Soon, you will turn a bit to the right, and then – all of the sudden – you can see your goal: the peak of Tosc. After a short dip, the path will begin to climb to the top of Mount Tosc. 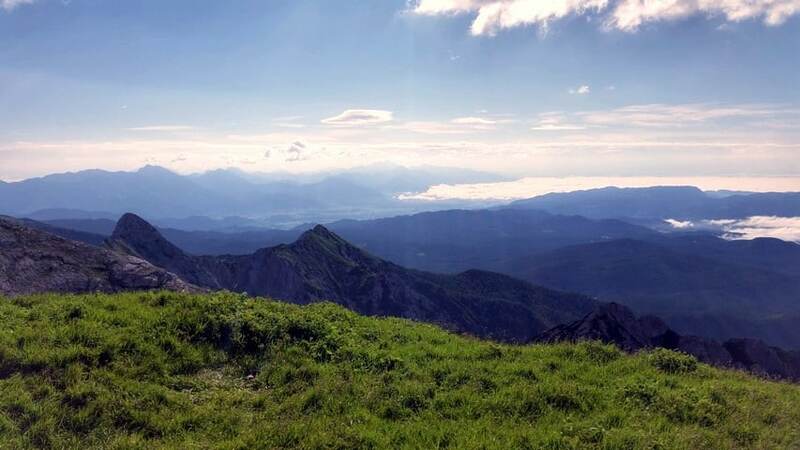 Sit down on some soft mountain grass, eat your snacks, and enjoy the majestic view. Return the same way to get back to your car. You can make a stop at the Vodnik lodge at Velo Polje pasture to get some food and drink. 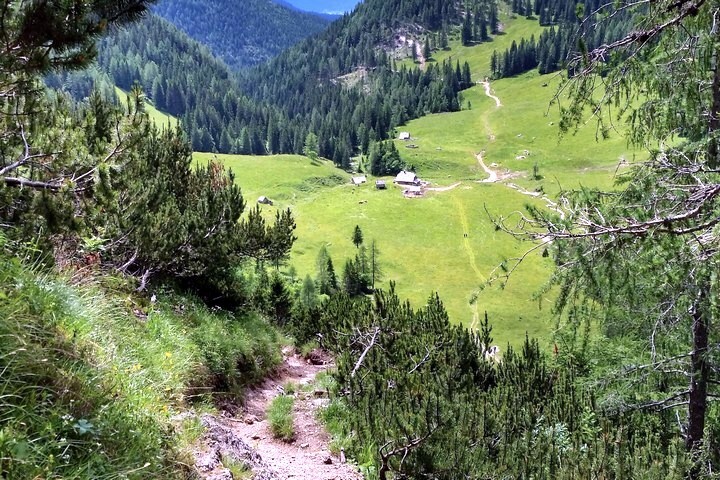 From the top of Tosc descend back to the crossroads (below the southern slope and before you enter the forest) and continue to the right in direction of Triglav. You will get to the lodge in about 40 minutes. In foggy weather orientation can be difficult on top of Tosc. Notice that there is only one path up and one path back.